Uveitis is an inflammation of the uvea of the eye. The uvea is the middle layer of the eye, that contains blood vessels. It is located between the outer, white layer of the eye, which is called sclera, and the inner layer called retina. The uvea consists of the iris, the ciliary body, and the choroid. The iris is a colored muscle on the anterior segment of the eye. It gives the eye its color, brings nutrients to the lens and determines the amount of light that passes through the eye by changing the diameter of the pupil. The ciliary body is located between the iris and the choroid. It provides nutrients to the lens and controls the shape of the lens when focusing. The choroid is a thin layer filled with blood vessels which feed the lens, the retina, the optic nerve and the vitreous. In uveitis both the uvea and other parts of the eye such as the lens, retina, optic nerve, and vitreous get inflamed resulting in the reduction of vision. Inflammation is the normal response of the body to tissue damage, invasion of micro-organisms or toxins. The condition manifests itself through redness, pain, swelling and damage to the tissues as the white blood cells in the body rush to the site of inflammation to reduce or completely stop the destructive process. In uveitis, inflammation may be confined to the eye or may be a part of the manifestation of a systemic disease affecting other organs of the body. Uveitis typically appears between the ages of 20-60 years. The clinical course of the disease may be acute with short duration (less than 6 weeks), recurrent or chronic. Recurrent and chronic uveitis are the most severe types of the condition. Uveitis may be classified based on the anatomical part of the uvea which is inflamed into anterior uveitis or iritis or iridocyclitis, intermediate uveitis or posterior uveitis or panuveitis when the whole eye becomes inflamed. They can also be classified by etiology into infectious or non-infectious. Uveitis can be caused by: attack of the body by its own immune system (autoimmune disease), various types of infections, tumors of the eye or other tissues / organs, ocular injury and toxins that reach the eye through the circulation. Affects the anterior part of the uvea: the iris and the ciliary body and is also known as iridocyclitis. It is the most common type of uveitis and usually affects young and middle-aged people. It occurs in otherwise healthy patients and usually affects only one eye. In rare cases, anterior uveitis may accompany rheumatological, dermatological, gastroenterological, or pulmonary conditions and infections. It is usually observed in young adults. The inflammation is confined mainly in the vitreous. In some cases, it may be related to sarcoidosis or multiple sclerosis. It is the most rare form. 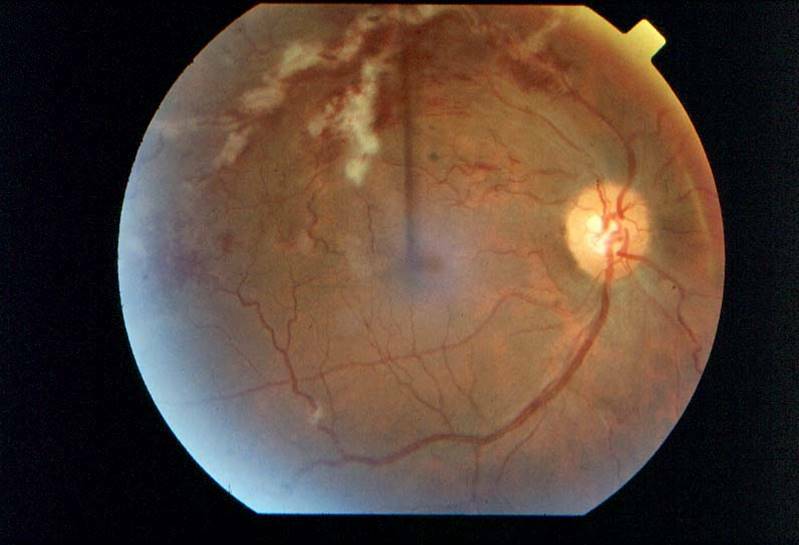 It is usually accompanied by inflammation of the retina and is called chorioretinitis. The causes are infections, systemic diseases or autoimmune diseases. This is an inflammation of all layers of the uvea of the eye, from the front to the back. Causes often include systemic diseases, such as sarcoidosis, Adamantiades-Behҫet syndromes etc. The most severe forms of uveitis are the intermediate, posterior and panuveitis. These can cause irreversible vision impairment, if not treated promptly. Each type of inflammation has different symptoms. Acute anterior uveitis usually affects only one eye and is characterized by reduced eyesight, pain, eye redness, a small pupil and light sensitivity. Intermediate uveitis is characterized by reduced eyesight and floaters. It is usually not accompanied by pain. Posterior uveitis usually causes reduced eyesight.